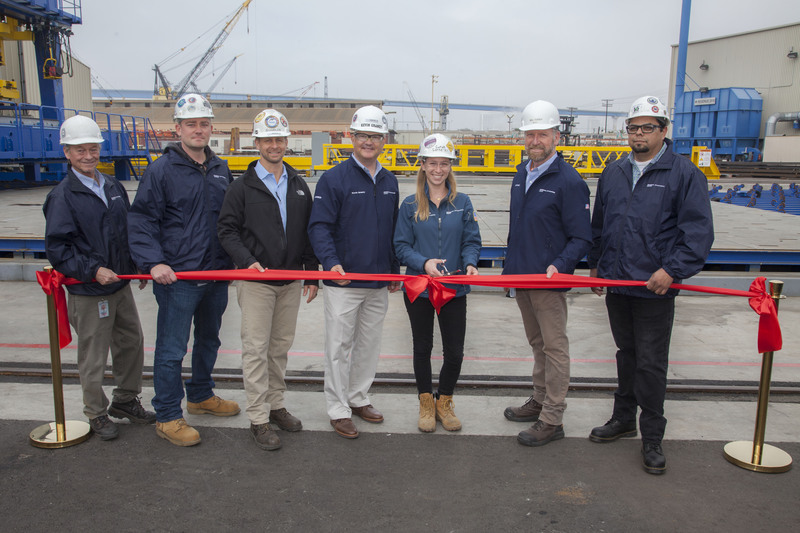 SAN DIEGO – General Dynamics NASSCO held a ribbon-cutting ceremony today to commission its new panel line, which expands steel production capabilities for the construction of commercial and government ships in San Diego. The new panel line enables distortion-free welding of plates as thin as five millimeters to produce lighter, more energy efficient ships. The cutting-edge facility uses hybrid laser arc welding and numerically controlled robots to mill, seam and weld steel panels in a highly automated production line. These features improve capacity, quality, accuracy and cycle time, and are expected to double steel processing rates. 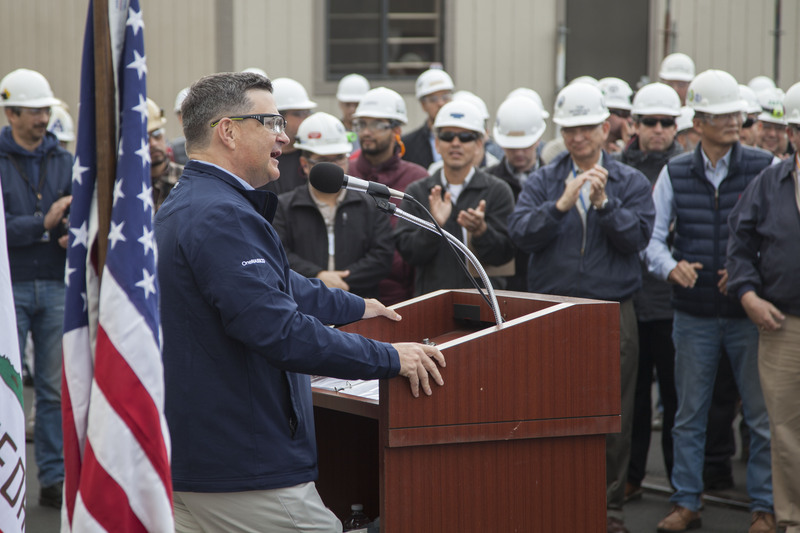 “Our team scouted thin plate welding technology and processing facilities from around the world to identify the components that would allow NASSCO to stay at the forefront of shipbuilding manufacturing technology,” said Kevin Graney, president of General Dynamics NASSCO. Four ships are currently under construction at the San Diego shipyard, including two containerships for Matson Inc., and the first TAO-205 -class oiler for the U.S. Navy, all of which will feature steel from the new panel line. An expeditionary sea base for the Navy is also under construction. Representatives from NASSCO, the U.S. Navy and Matson, Inc., attended the ceremony. General Dynamics NASSCO is a business unit of General Dynamics (NYSE: GD). For more information, visit nassco.com.